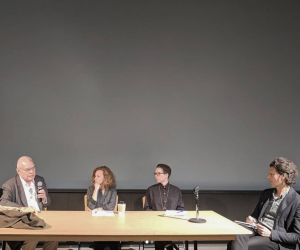 This March, ERA’s Ya’el Santopinto was a panelist at the “Urban Form and Social Energy of the City”, a forum hosted by the University of Waterloo’s School of Architecture. 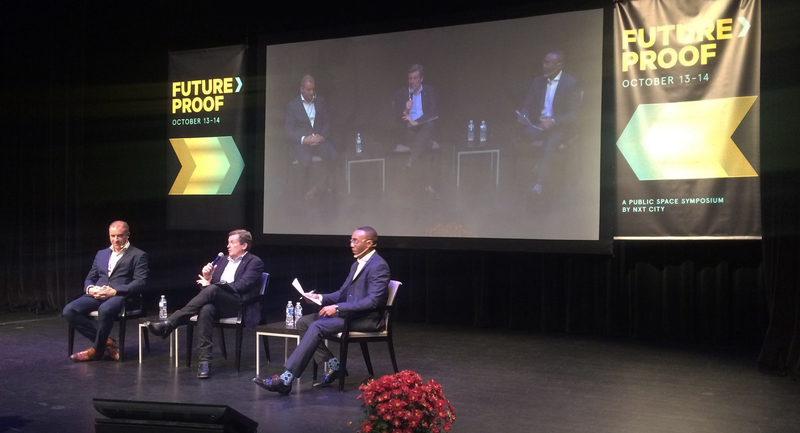 Under the overarching theme of non-isolating urbanism and architecture, discussions explored challenges and opportunities in preserving affordable housing and transforming tower neighbourhoods throughout the Toronto Region. 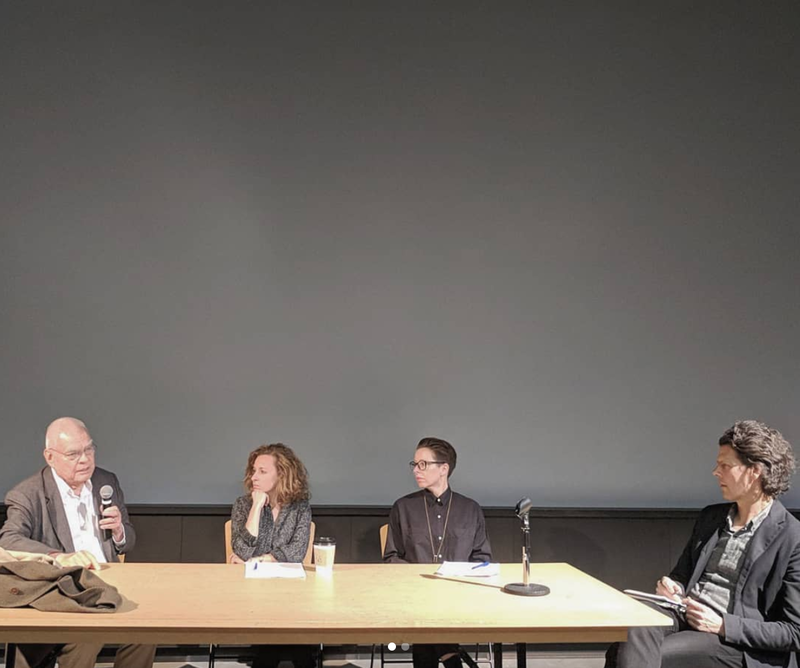 Alongside Ya’el were Martine August from the University of Waterloo Planning and George Baird from the University of Toronto, Daniels Faculty of Architecture, Landscape and Design with Adrian Blackwell as Moderator. For more information, visit the University’s event page here. Header image courtesy of the University of Waterloo Architecture’s Instagram account. 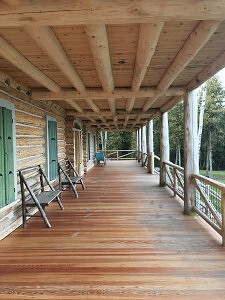 The 2017 Lieutenant Governor’s Ontario Heritage Award for Excellence in Conservation has been awarded to ERA Architects, for the conservation of Casey House. 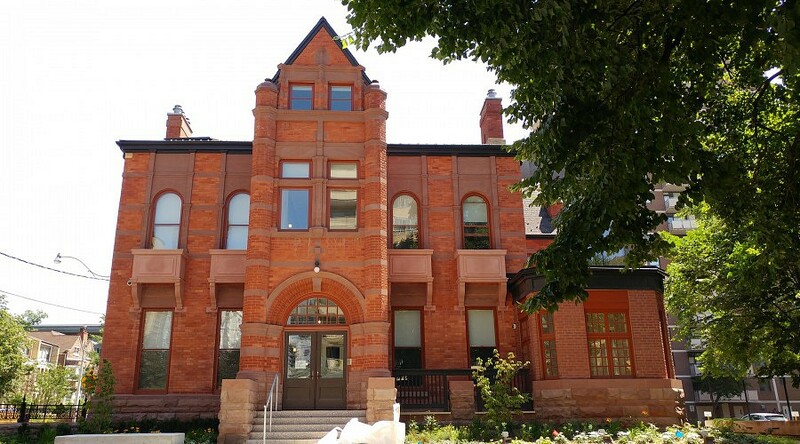 The award highlights projects across the province that contribute to the conservation of a heritage building and the community enhancement it fosters. 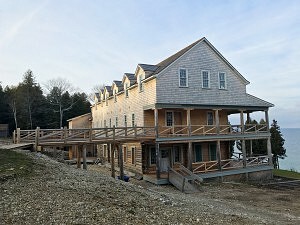 The firm is thrilled, and could not have successfully completed this endeavor without collaboration from Hariri Pontarini Architects and the broader community. Casey House is a significant visual reminder of the affluence and grandeur of Jarvis street during the late 19th and early 20th centuries. The property has been redeveloped as a state-of-the-art AIDS/HIV healthcare facility that integrates the historic building with a new four-storey extension. The design of the contemporary facility juxtaposed against the Victorian mansion is a distinct but complementary addition by Hariri Pontarini. It embraces and respects the existing building, preserving its qualities and organizing the day-to-day user experience. Throughout the project, the architects considered how to manifest unifying themes from the AIDS movement such as ‘embrace’ and ‘quilt’ by working the design concept from the inside out. The conservation strategy was to retain and conserve the heritage fabric, replacing deteriorated elements where necessary. The preservation of the exterior was extensive, including the removal of paint from the masonry, repointing of brickwork, the replacement of stone bands, the fabrication and installation of new window boxes, and new lead-coated copper spiralettes on the roof. 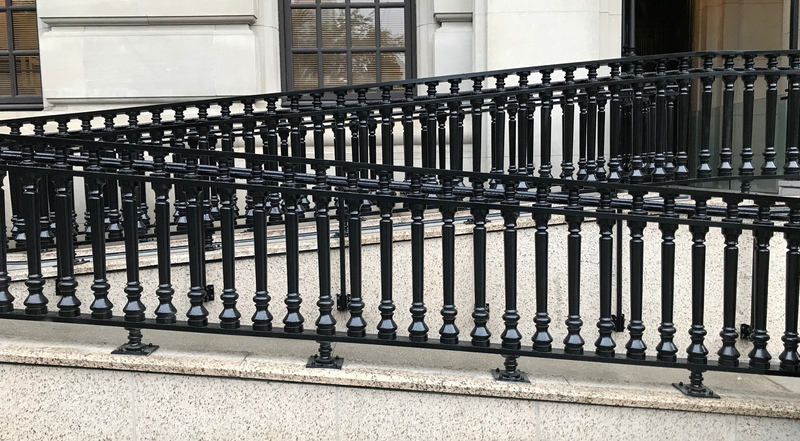 The iron fence was repaired and repainted, and the wall it sits on was cleaned, re-pointed, and any deteriorated stone replaced. 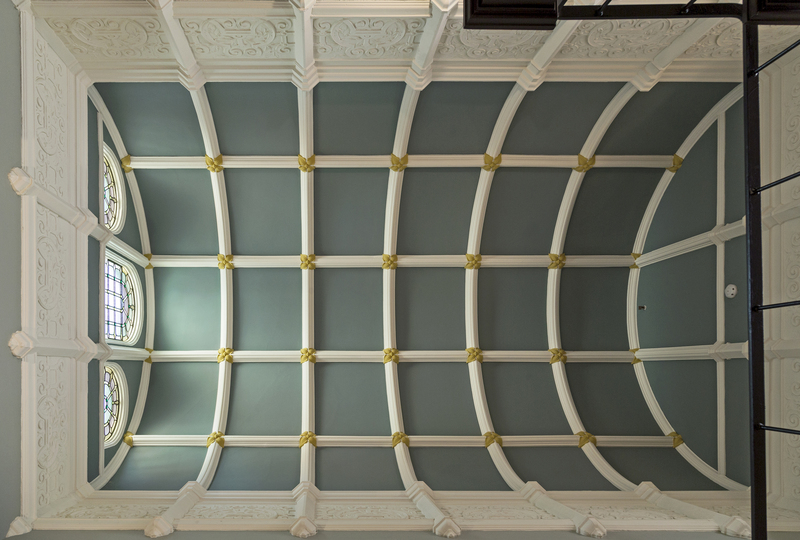 The interior preservation included the repair and repainting of the plasterwork, the development of the colour scheme, preservation of the fireplaces, and repair of the mosaic flooring in the vestibule. The woodwork was repaired and refinished, and the timber flooring repaired and re-stained. A high degree of durability in the finishes was required to withstand the rigours of the daily/weekly cleaning regimes required of a hospital. 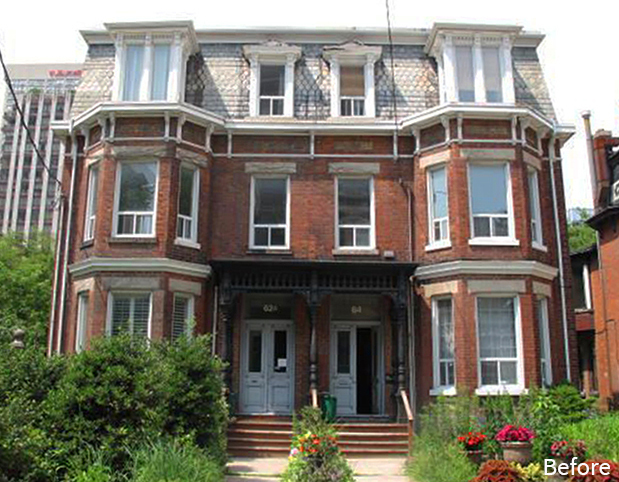 Casey House is Canada’s first and only stand-alone hospital for people living with HIV/AIDS. 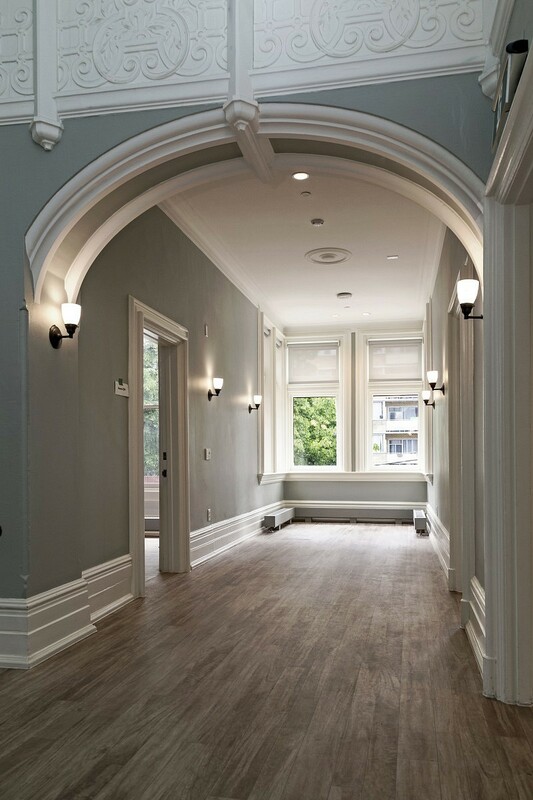 In spite of the complexity involved with designing a health facility, the preservation and restoration of the original building—an example of the grand homes that lined Jarvis Street at the time of its development—was at the forefront of discussions when expanding the facility first arose. At its heart, the redevelopment of Casey House was a community-inspired and driven initiative, with stakeholders recognizing the importance of their generous contributions. Congratulations to ERA’s project team: Michael McClelland, Edwin Rowse, Scott Weir, Jessie Grebenc, Joey Giaimo, Luke Denison, and Mikael Sydor. ​Project photos are courtesy of Vik Pahwa. 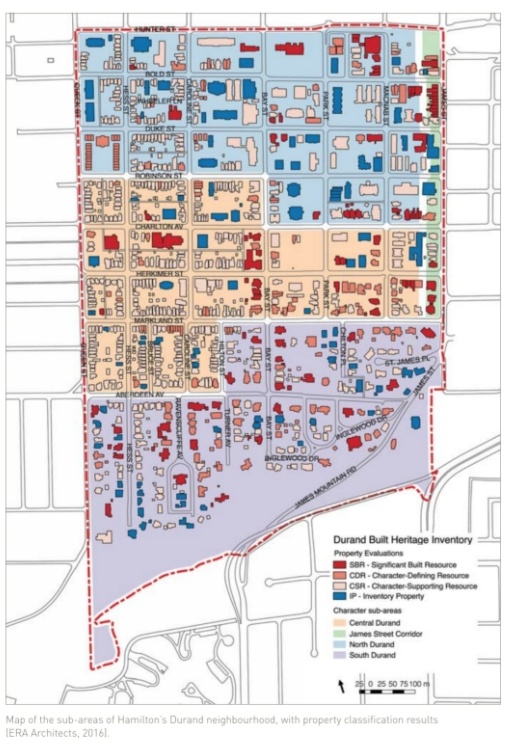 ERA Associate Victoria Angel’s article in Plan Magazine’s Winter Issue ‘Urban heritage: A living legacy’ on the UNESCO Historic Urban Landscape (HUL) Recommendation (2011) illustrates its implications and emerging practices, using the City of Hamilton’s Built Heritage Inventory as a case-study. The recommendation encourages a more holistic, integrative approach to urban heritage conservation, focusing on the urban landscape. It proposes that future considerations around urban development should enhance sustainability, functionality, inclusivity, place-making and local identities. Governments have experimented with its implementation, in spite of the complexity of the various urban systems. Practices that have emerged as a result include a greater use of community consultation, and the characterization of large urban areas through the use of Geographical Information Systems (GIS), which integrate well with other municipal information systems. 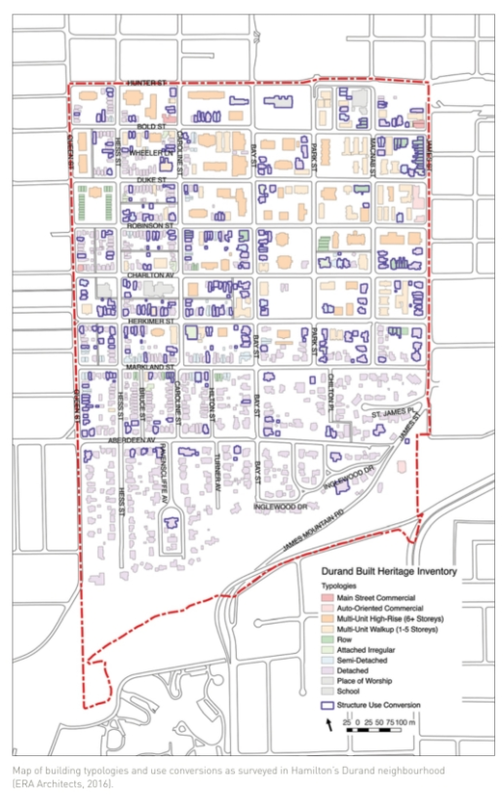 Hamilton’s Built Heritage Inventory process was adopted by its City Council in the spring of 2014 and was the subject of a paper by Victoria Angel, Angela Garvey and Mikael Sydor that was published by the International Society for Photogrammetry and Remote Sensing. 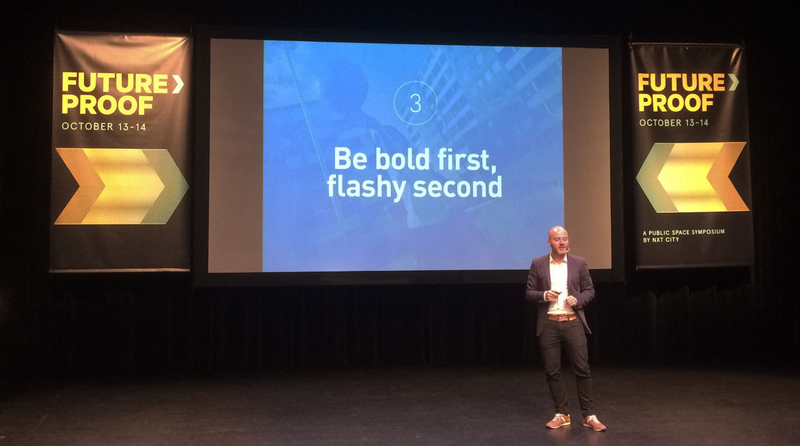 The City of Hamilton intends to implement the strategy one neighbourhood at a time, at a citywide level. All images courtesy of ERA Architects. …… a masonry jointing that uses mortar in two colours to simulate the appearance of narrow joints. The actual joint is disguised with a flush mortar tinted to appear similar to the colour of masonry units. A joint like groove (the tuck) is often cut into this flush joint. Then mortar of a contrasting colour is added onto the flush joint and into the groove and is shaped and trimmed into a narrow false joint, which usually projects slightly. This line gives the appearance of a narrow projecting jointing. 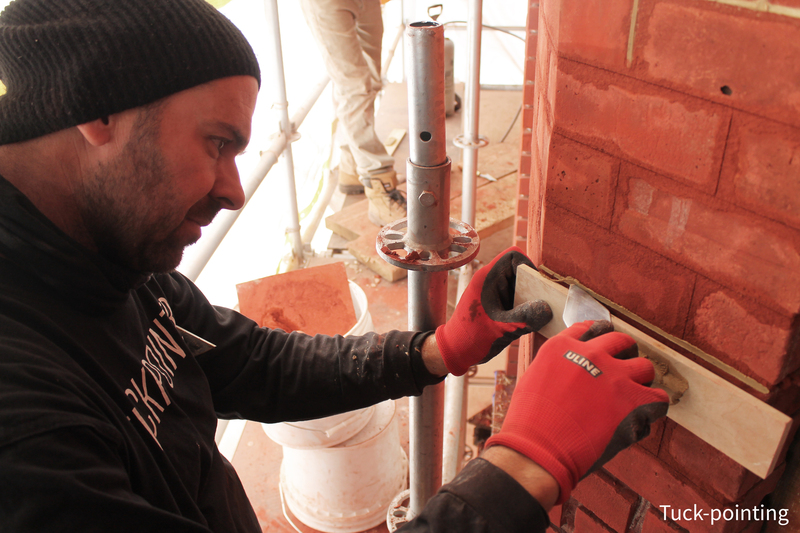 Completed properly, tuck-pointing is the most highly skilled of all pointing finishes. It creates the illusion of finely pointed gauged brickwork, enhancing the quality of appearance of buildings constructed of damaged or irregular bricks. 62 – 64 Charles Street East, an ERA project where recent conservation work has restored the tuck-pointed building to its former glory under the expert hand of Hunt Heritage. This is the largest application of the process that ERA has been involved with, and it’s an exemplar for bringing this lost craft back to the city. The project was undertaken in the late summer of 2015 and completed in late spring of 2017. As heritage consultants ERA strived to protect the value, significance and integrity of the heritage assets. The work required a full conservation scope on the semi-detached house, that included the rarely-seen craft of tuck-pointing for which National Trust (Aus) award-winning Tuck-pointer Antoni Pijaca was hired to share his expertise and the secrets of his trade. 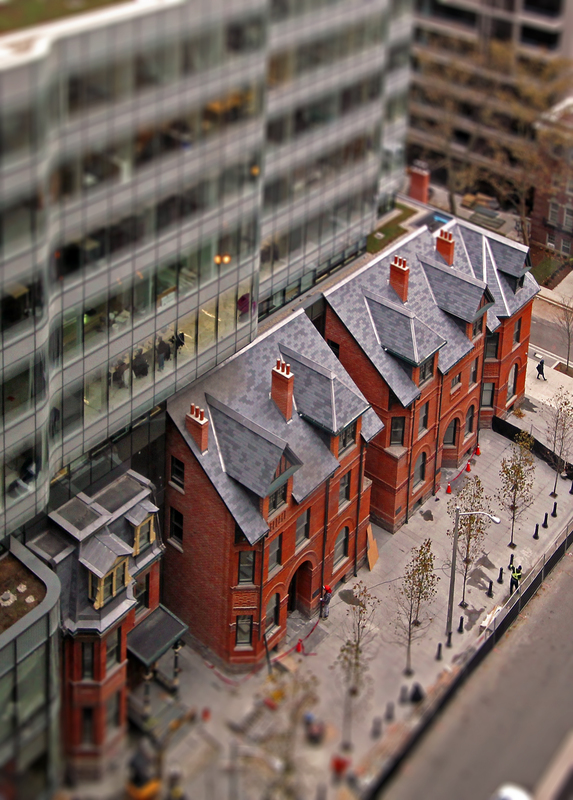 The Charles Street project was honoured last fall with a 2017 CAHP Award of Excellence —Materials, Craftsmanship and Construction. ERA is continuing to feature this technique prominently through work on the Selby Hotel at 592 Sherbourne, which is set to be completed in the summer. At ERA we thrive on finding new uses for existing buildings and integrating the heritage fabric of our city into contemporary designs. One of the ways we approach conservation of existing fabric is through modifications to buildings and cultural landscapes that enable all users to enjoy our shared heritage. Many heritage structures are not barrier-free by today’s standards: the main entrances often are only accessible by stairs, they have heavy doors without automatic operators, the washrooms don’t accommodate wheelchair users, the stairs don’t have the tactile and colour-contrasting nosing that aid users with low-vision in navigating them. Improving upon our heritage fabric to create a more accessible environment requires a careful and sensitive approach. Whereas a barrier-free approach to a new building design is integrated from the very beginning, a barrier-free retrofit requires considering the impact of the alterations on the historical features of the building: How can we position a new entrance ramp to minimize its visual impact? How can we modify existing doors to accommodate power door operators without damaging the existing fabric? How can we renovate an existing washroom to allow for universal access? 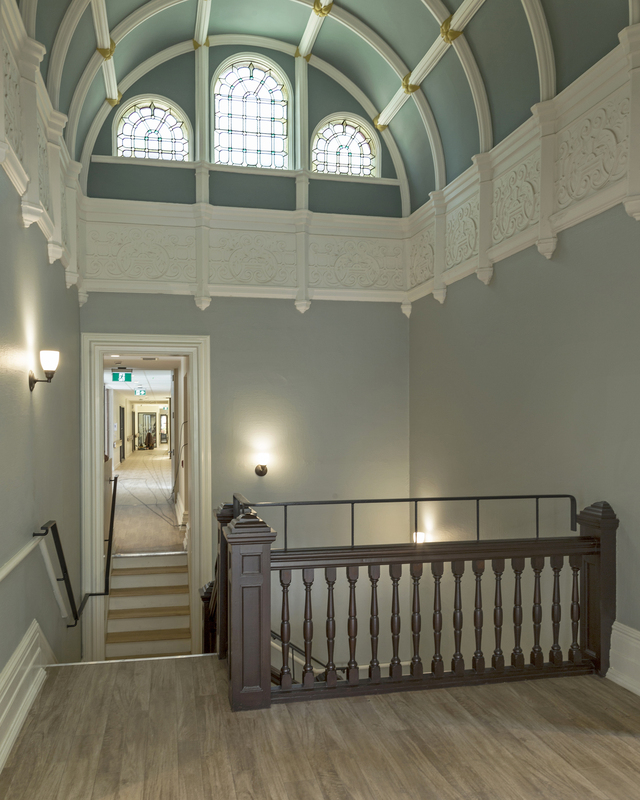 What materials can we use to provide tactile and colour-contrasting nosing without negatively impacting a historical wood stair? 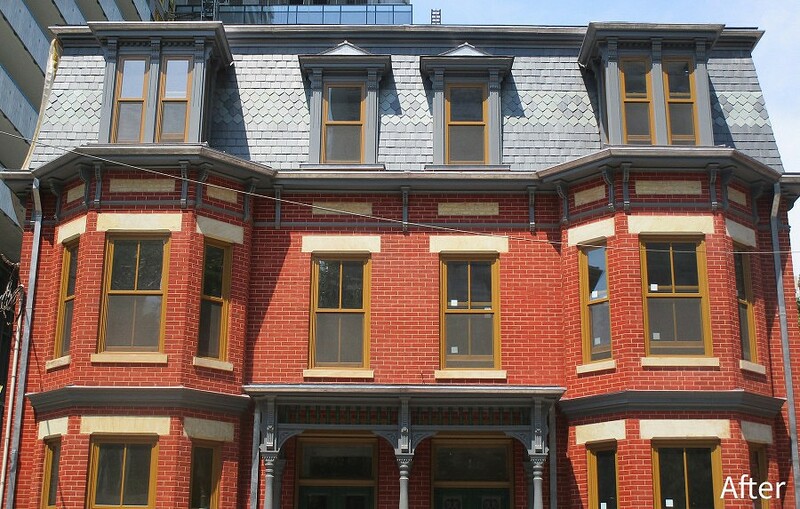 Two of our most recent projects in downtown Toronto feature smart designs that integrate barrier-free features into the existing fabric of heritage structures: the Sultan Street Development and 330 University Avenue. The Sultan Street Development features the integration of a row of red brick Romanesque houses with a new office tower development designed by Hariri Pontarini Architects (HPA). 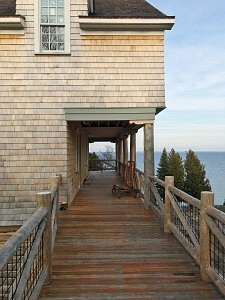 As the original entries to the heritage houses featured a series of steps up to the doors, they impeded the possibility for barrier-free access from the street. 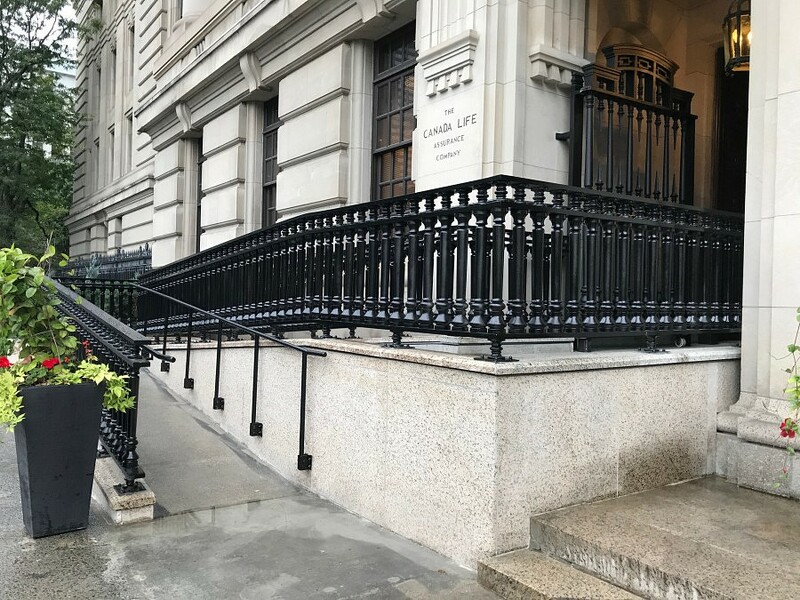 ERA proposed a simple modification to the entrances which lowered the doors to street level and enabled barrier-free access without the need for a ramp or elevating device. At 330 University Avenue (also known as the Canada Life Building), ERA took a different approach to providing barrier-free access. In this case, the existing steps to this Beaux Arts building were maintained and a ramp was designed to allow barrier-free entry through one of the three main doors off University. In addition, the original bronze and glass doors were equipped with power door operators to ensure a fully barrier-free path of travel to the public lobby. Post by guest writer Max Yuristy. All photos courtesy of ERA Architects. Just a few steps northwest of Toronto’s city hall is a quiet, empty plot of land and a former parking lot that will soon be the home of the new Toronto courthouse. But long before this site was just a place to park, it was a bustling part of St John’s Ward (The Ward), an area where newcomers to Toronto established themselves for over a century. 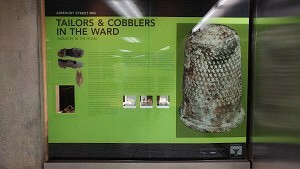 In 2015, Infrastructure Ontario (IO), on behalf of the Ministry of the Attorney General, led a complex excavation and archaeological dig of the new Toronto courthouse site which revealed tens of thousands of artifacts from The Ward, providing an unprecedented level of insight into Toronto’s early multicultural history. 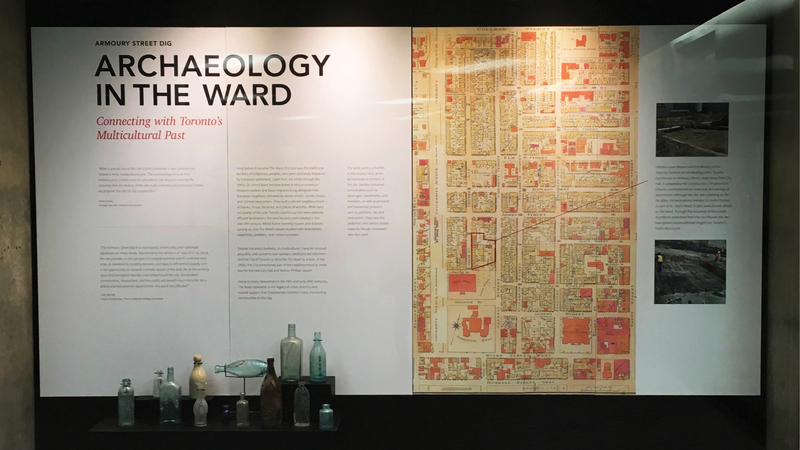 As part of the heritage interpretation efforts for the site, IO and the City of Toronto developed a partnership to create opportunities to share the artifacts and their stories in four display cases at City Hall. 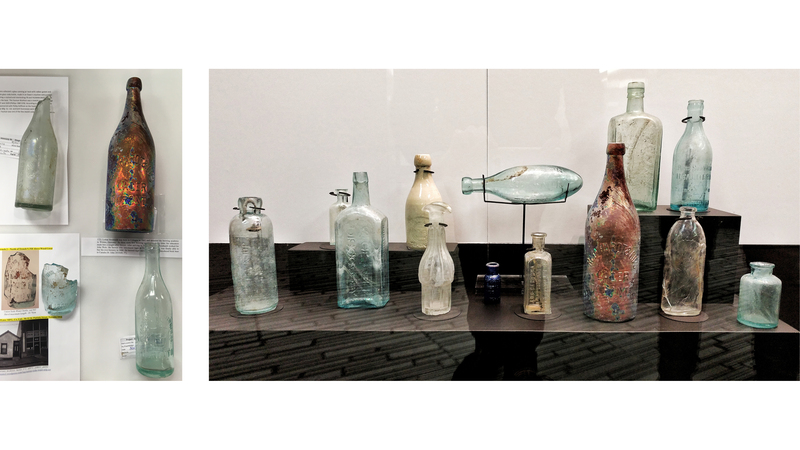 Archaeology in The Ward display case, showing a selection of bottles and glassware recovered from the excavation site. An enlarged Goad’s Insurance Map of Toronto shows the site in context. ERA Architects is no stranger to the histories related to The Ward—Michael McClelland and Tatum Taylor helped to literally write the book. As heritage professionals and editors of ‘The Ward: The Life and Loss of Toronto’s First Immigrant Neighbourhood’ (Coach House Books, 2015), they were well positioned to approach the exhibition project with a comprehensive understanding of the site context along with the ability to provide powerful interpretations for the subjects reflected by the artifacts. ERA has been pleased to offer our expertise in this unique documentation of Toronto’s history, providing contextual research and interpretation for emergent themes, as well as designing the exhibit spaces in collaboration with City of Toronto Museums and Heritage Services. 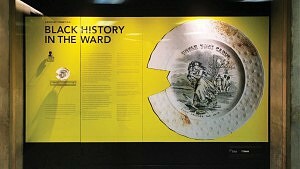 The first of many planned exhibit installations was officially opened in February 2017 with the Mayor’s Reception for Black History Month and featured stories and important artifacts focused on Black History in The Ward, including the foundation stones of the British Methodist Episcopal Church, and a rare Black doll’s head. 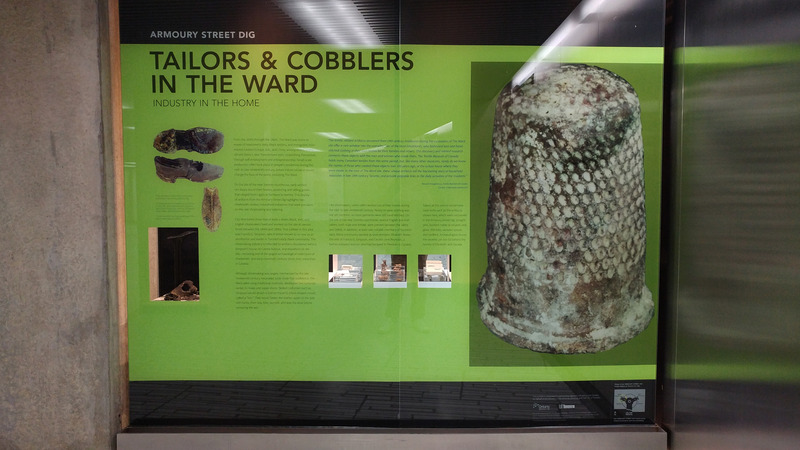 We are excited to announce the latest installation of the ‘Armoury Street Dig’ series of exhibits at City Hall has opened this past week. This latest installation focuses on ‘Work in the Ward,’ showing that with the rapid industrialization of the late 19th century, manufacturing moved from homes to factories. In The Ward, this industrial and social shift can be seen clearly, with factories steadily replacing houses between 1895 and 1950. The exhibit is open now and on view during regular public hours in city hall’s main floor rotunda, located adjacent to both the east and west elevator bays, and will be on display through spring of 2018. 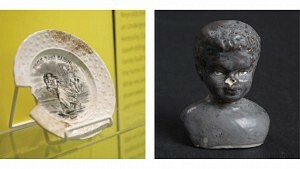 In the west exhibit cases, artifacts from the ‘Armoury Street Dig’ highlight two 19th-century household industries that were prevalent on the site: shoemaking and tailoring. The excavation site includes one of the largest archaeological collections of 19th and early 20th-century shoes ever unearthed in Canada, most too fragile to display but documented by photographs and reproduction tools. 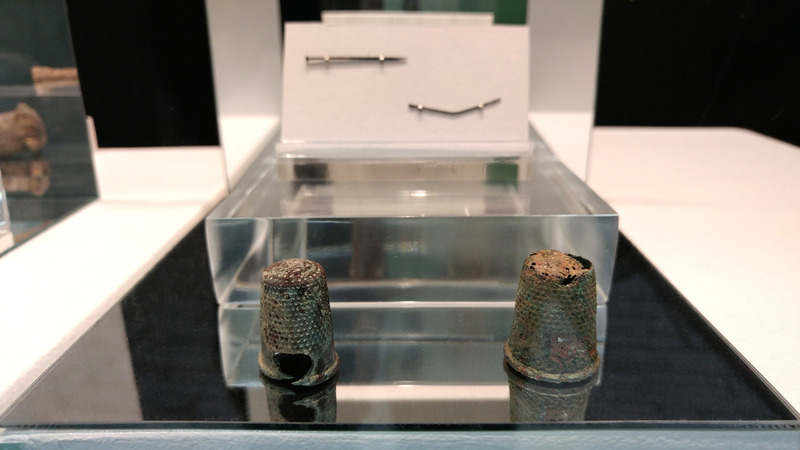 Other artifacts on display include tools commonly used by tailors and seamstresses in the period: straight pins, buttons made of ceramic and glass, thimbles, wooden spools, and bodkins. 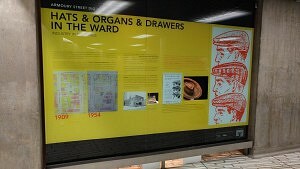 In the east exhibit cases, industry in factories is examined through narratives that range from small-scale family operations such as the Edward Lye and Sons Church Organ Builders which operated first out of their home, to the large-scale T. Eaton Co. Tent and Awning Factory on Chestnut Street. 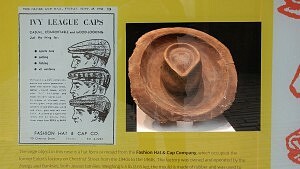 On display are two moulds used in mass production: one small drawer handle mould, likely used in furniture manufacturing on the site, and a large rubber hat mould used to form men’s brimmed felt hats from the Fashion Hat & Cap Company, which occupied the former Eaton’s factory on Chestnut Street from the 1940s to the 1960s. The exhibit is on view during regular public hours in city hall’s main floor rotunda, located adjacent to both the east and west elevator bays, and will be on display through spring of 2018. Post by guest writer Carl Shura. All photos courtesy of ERA Architects and TMHC. Inspired by the work of Jane Jacobs and a desire to use the artist’s studio as a site for fostering creative engagement, Jennie Suddick, and Sara Udow founded Crazy Dames. 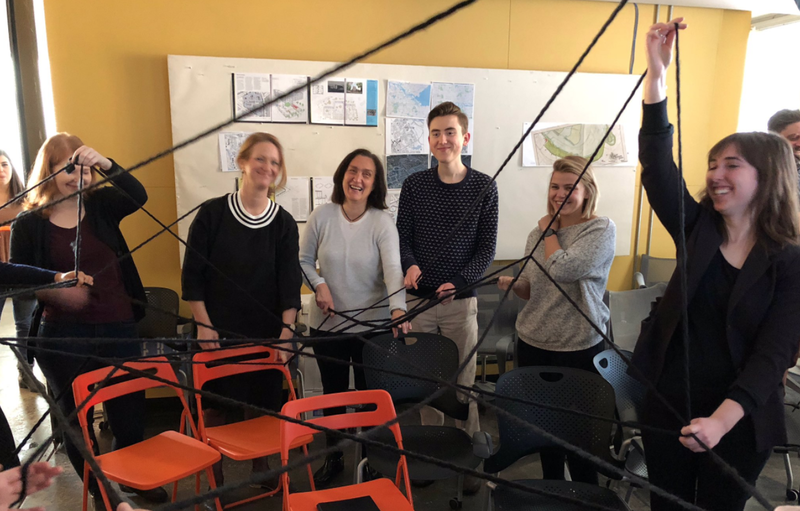 Their focus is on enhancing the user experience of urban spaces, empowering communities to drive the change they desire through ‘tactical and collaborative approaches’ to city-building. Crazy Dames utilize unconventional, yet playful methods from which innovative ideas evolve. 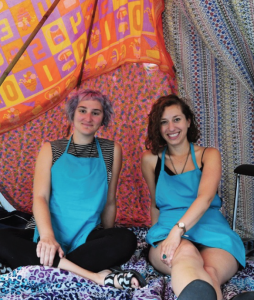 Their portfolio includes activities as diverse as building a blanket fort as part of a residency at the Gardiner Museum, entitled ‘We Built This City’. 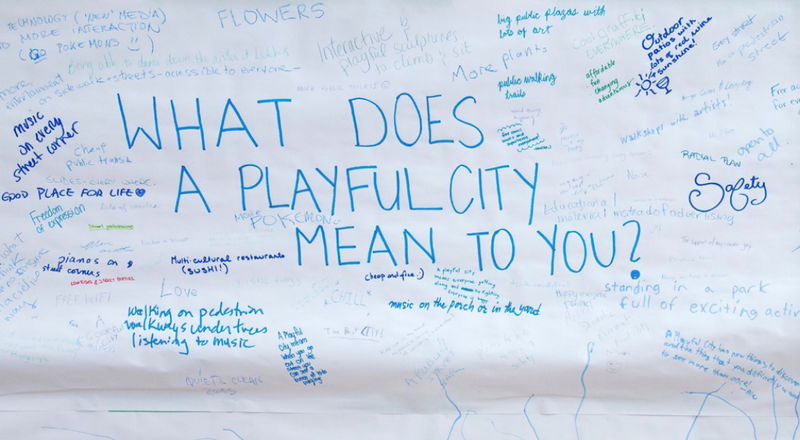 There they programmed events over the course of two weeks in the summer of 2016, including workshops, artist-led ‘walkshop’ walking tours, a collaborative art project, and closing event and panel discussion. The pair have also found attentive audiences through public engagement projects at the Yellowknife Artist Run Community Centre, and Create Your Path initiative. 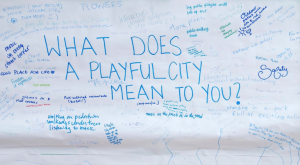 In each case, they strive to create an experience that will bring broad communities together, break down barriers, and ignite their imaginations to ultimately express their thoughts/feelings about the city they live in, generating ideas for change. 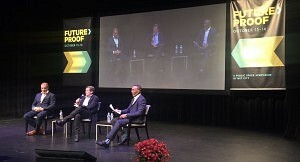 At the end of the day, it’s about talking to people, listening to divergent perspectives, and encouraging long-term community involvement and ownership. Fast forward to August 2018, Jennie and Sara have been invited to participate in a residency in Valletta, Malta, European Capital of Culture. They have also recently been chosen as Varley Art Gallery’s inaugural Community Artists in Residence. This residency will run in 2018 in Markham, ON. ERA was delighted to host them for an interactive presentation on Wednesday, January 10th, 2018, when they shared an informative slide presentation. Not wanting to rest solely on traditional methods however, they invited staff to get out of their seats, split into two groups and create a 3D drawing using balls of black yarn. The objective of the exercise was to define the space we were in, how it’s used and how it has evolved. The teams discussed various perspectives before creating two intricate webs. The communication and designs that resulted made for an interesting collaborative experience. All photographs courtesy of Crazy Dames. Much has been spoken and written of the Broadview Hotel over the past few years. Having opened last spring, the updated landmark at the corner of Queen and Broadview has already established itself as the new go-to site for entertainment in the Riverdale neighbourhood. With all the positive attention, comes increased interest in the building’s history and the stories that continue to be revealed. 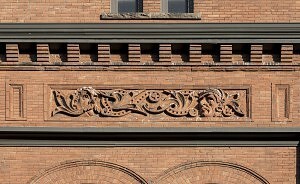 One such story can be found in the features that adorn the exterior of the Richardsonian Romanesque-style architecture, the semi-circular terracotta panels that sit atop the third-floor arched windows, and those interspersed amoungst the rich surface textures of the brick enhancements, and the moulded profiles of the arches. Twenty-one modeled reliefs provide a decorative element, featuring faces and personifications that may allude to a narrative that is not understood and could be open to interpretation. 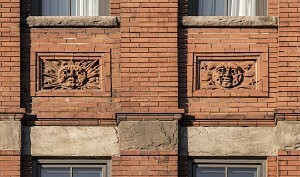 Though the artisans are not known, the reliefs were supplied by the Toronto Pressed Brick and Terracotta Company, started in 1888 and based 2 miles west of Milton, ON. The factory was situated on a slope near the Credit River, where Medina shale was available. The main product was pressed brick. Moulded and ornamental bricks, roofing tiles and terra cotta were considered a specialty. In 1906 the company was bought by Charles Lewis. He and his brothers focused on fine terra cotta works, the only large company in Canada to do so. Many office buildings and private residences were adorned with their product, such as the 1890’s Confederation Life Building, and the Gooderham Building in Toronto. The typical production process involved taking ground shale, kneading into a soft condition and casting it in Plaster of Paris moulds made from design drawings. 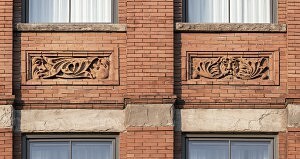 The Broadview Hotel reliefs however were completed only by hand and they have a variety of textures and finishes that reveal the energy of the work and the skill of the author. Finished pieces were set to dry prior to being fired in a down-draft kiln. The reliefs have multiple personifications of the wind, sun and moon. As companion panels these are interspersed with a series of faces; a canine, a bearded man, an Indigenous man, an owl and a boar. The collective meaning of these panels is open for interpretation.